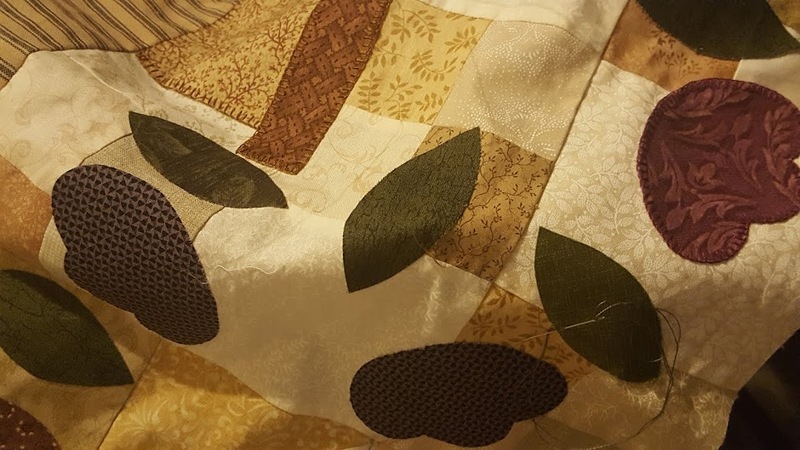 Country Quilts and Dolls: Life is a Little hectic! I've been downloading photos tonight and reading blogs as I wait. So inspirational to read and see pictures of what everyone else is doing. So many exciting quilts about to start. I received my copy of "The Farmers' Daughter" last week and just love some of the blocks. Haven't had a chance to do anything more than glance through. Our kids' social life has really been keeping us busy driving and driving and driving. Lots of waiting. I got some hexies made on Sunday waiting for Number 1 son. But otherwise it's been just driving. Our two little ones child protection order is up for renewal. They are going to an order to 18 which means they will remain with us - they've been with us for nearly 3 years and the little one was only 2 months old when she came, so we're hoping that this will all go through ok. In child protection cases, you never know until the order is signed. I've been busy writing an affidavit - and procrastinating about writing the affidavit. It's not been an easy journey to re-live. These are the people who sent us death threats and caused us to go into hiding earlier this year. Second son's Rock Eisteddfod performance is coming up quickly and costumes need to be finished. So that's going to fill any spare moment over the next day or so. Being school holidays in Queensland, we're also getting ready to go away to our rural block of land - our little piece of heaven near Bundaberg. We'll be heading up on Saturday - lots to be done to get organised for that. Not a lot of packing of clothes as we mostly keep things up there, but there always seems to be this and that to do to get organised. Hopefully some photos tomorrow. At least some of my latest hexies - just to show that my time hasn't been totally non-productive!! Enjoy the break away ... weather is not too bad up here at the moment. I will pray everything goes well, hon! And enjoy your time away - it sounds heavenly. Digital is great - you can always spice up some prints of really special photos, or make scrapbooks for each child. Great to catch up with whats been happening. Looking forward to your hexies tomorrow.